VN-Index already reached an 11-year high on Wednesday, marking the first time it surpassed 1,000 points since the global financial crisis. Vietnam’s stock market is expected to keep its upbeat sentiment of 2017 and drive the benchmark VN-Index to an all-time high at year end, analysts said. 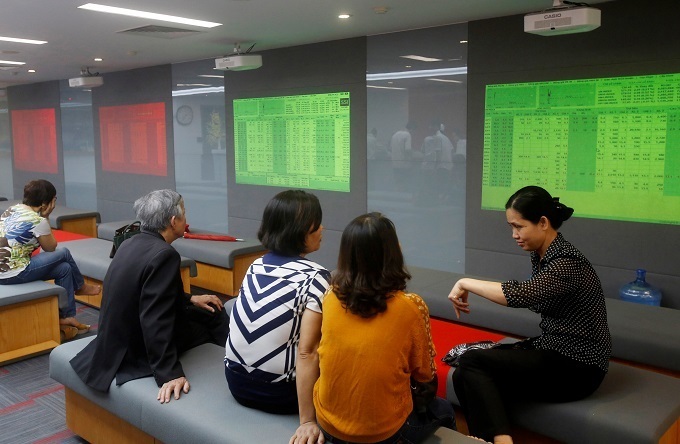 The Vietnam Stock Index (VN-Index), a capitalization-weighted index of all the companies listed on the Ho Chi Minh City Stock Exchange, already reached 1,000 points on Wednesday, the highest since the global financial crisis in 2007. It closed at 984.24 on the last working day of 2017, wrapping a bullish week and setting a 10-year high. Analysts believe the momentum will continue and bring the index to surpass the record 1,178 points in 2007. The market is seeing very low risks, and high confidence for growth, they said. 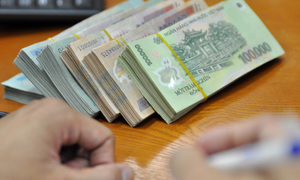 RongViet Securities Corporation in Saigon said in a report that VN-Index will increase at least 17 percent this year or even 67 percent in its best scenario, meaning it could end the year somewhere between 1,170 and 1,640. 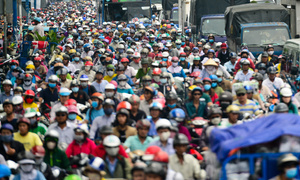 Nguyen The Minh, a senior analyst at Saigon Securities Incorporation, was more specific. 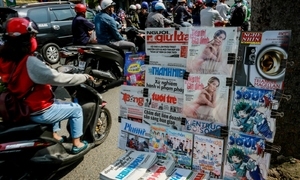 “VN-Index can reach 1,050 points in the short term and 1,300 at year end,” he said. Minh said stocks that have not received much attention last year should create big potentials now. The market in 2017 was driven by consumer goods stocks, but banking and energy will take the lead this year, he said. 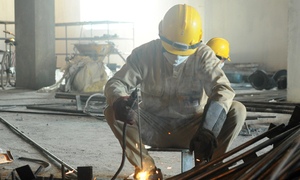 Minh said the market will be boosted by interest from the foreign sector. Foreign investors made more than $1 billion of net purchase last year, the biggest in five years, and they will continue to stick around for more privatization at public giants. 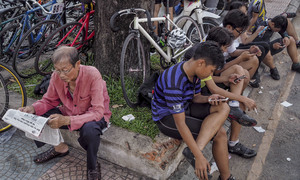 Bloomberg called Vietnam a “frontier market” in Asia last year, as it was the biggest gainer in percentage terms: a 47 percent gain in the VN-Index. The market capitalization increased almost double to nearly $150 billion, fueled by state-owned company sales and listings, it said. 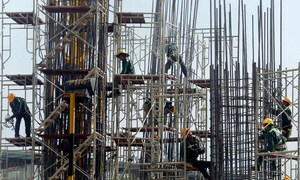 Vietnam’s economy grew 6.8 percent in 2017, breaking its own 6.7 percent target which both government officials and economists had considered ambitious. The country remains one of the fastest growing economies in the world and has set the goal to expand another 6.7 percent this year.